There is a bit of variability in their shapes. Some are more curved than others. 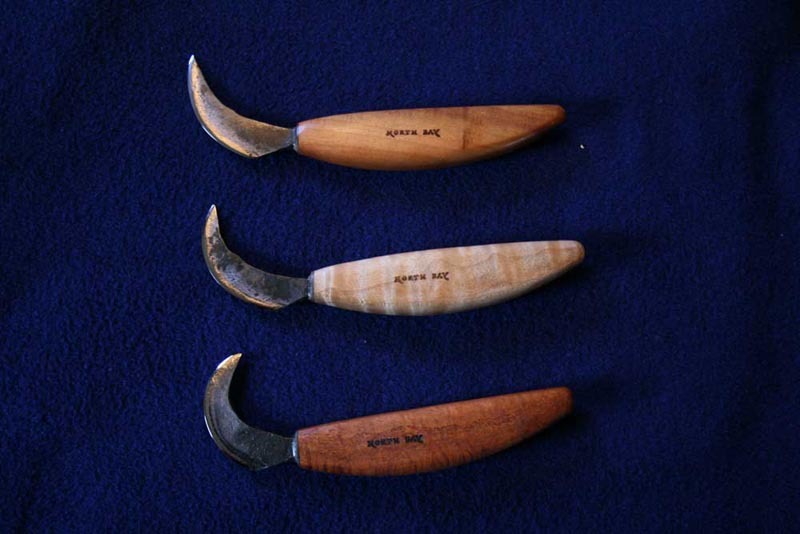 The handles are mesquite, mountain mahogany and figured maple. Fits in the hand like it was meant to be there. When ordering, you can indicate your preferences for type of wood and how much curve you want in the blade (at the end of the order, under "special instructions"). Please Note: All of the Little Skinners I currently have are medium curve with Cherry handles.